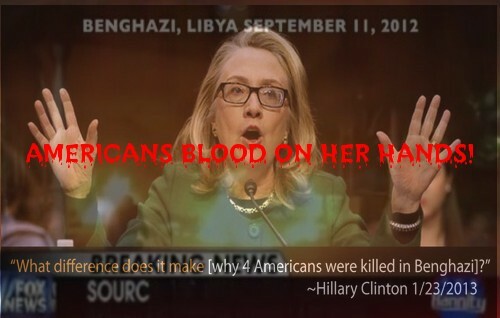 Bombshell Evidence Hillary Clinton Created ISIS - "America Needs A President That Represents America, Not ISIS"
Anybody who has been paying attention to real news and global events from the alternative media knows that there is a great deal of evidence that proves that our own leaders created the ISIS terrorist group that's now slaughtering Christians around the world. However, we've been largely missing that huge video that puts together all of the evidence and from a public figure who is within politics and now actually running for US Senate. That video has arrived. 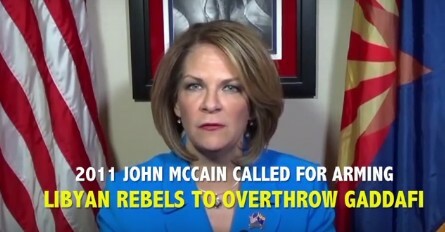 As we hear in the slam-dunk video below from John McCain's opponent in the upcoming election Dr. Kelli Ward, McCain, Hillary Clinton and Barack Obama were responsible for creating the terrorist group that is now inspiring Americans to carry out slaughters such as that which recently allegedly happened in Orlando, Florida. Dr. Ward calls out McCain on his hypocrisy on this matter, having changed his earlier statement backing Trump that Obama was directly responsible for the massacre in Orlando due to his policies after realizing that in doing so, McCain was calling himself out as guilty as hell as well. "Once the left put on the heat, McCain got out of the kitchen" Dr. Ward tells us, "he did what we're used to, he folded like a cheap lawnchair and said he'd misspoken". "Well, John McCain didn't misspeak" Dr. Ward goes on, "actually, he realized he had implicated himself". As well as Obama and Hillary. "You see, Barack Obama, Hillary Clinton and John McCain have been partners in arming ISIS" Dr. Ward tells us, sharing courageous truths that should quickly lead to McCain's 'retirement' or arrest for treason though we're quite concerned not enough people living in Arizona and other Americans will learn these facts. The mainstream media has a way of making sure cold, hard truths like these involving the 1% like Hillary, Obama and McCain don't see the light of day so we're doing our best to make sure the msm doesn't get their way. Dr. Ward then breaks down the facts that PROVE to us that McCain, Clinton and Obama are responsible for the rise of the terrorists that have been terrorizing the world, slaughtering Christians and are now terrorizing Americans leading us to ask, how is it that Obama, Clinton and McCain haven't yet been arrested by the US military for treason for providing aid and comfort to the enemy? Keep in mind, not only have they armed ISIS but they're going after Americans guns! What should that tell us? We can also now see that the tide is quickly turning against Hillary, Obama and the globalists as Brexit votes to get out of the European Union, Obama's immigration plan is totally rebuffed by the US Supreme Court at a time when babies being born in America to minorities outnumber those born to whites. As this story from Breitbart tells us, in Brexit, Great Britain has sided with Donald Trump and rebuffed Hillary and Obama. 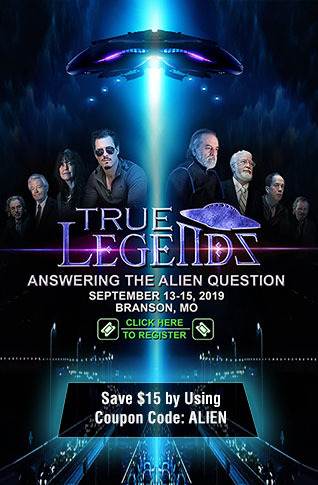 Is the world awakening? Unless America is able to reign in those who have been secretly arming ISIS and putting every American in the country and every Christian around the world at risk of being killed, the facts brought forth in this video mean nothing. Unless Hillary Clinton, Barack Obama, John McCain and everybody else responsible for the rise of ISIS are held responsible for their roles in that rise of the terrorist group, 'justice' means absolutely nothing in America and the world. 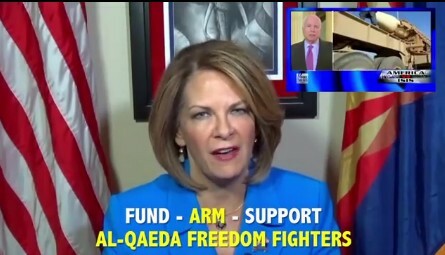 Dr. Ward slams her message home in her concluding statement: "Just this week, John McCain bragged about an additional $1.3 billion to provide more weapons to Syrian jihadists, and to provide border security. Not in Arizona, but in Lebanon and Jordan. I'm Dr. Kelli Ward and I'm running for the United States Senate because John McCain has equipped our enemies, put our soldiers in harms way and turned even our own American soil into a battleground. Arizona needs a senator who represents Arizona, not ISIS." At ANP, we'll strongly agree....America needs a president that represents America, not ISIS.